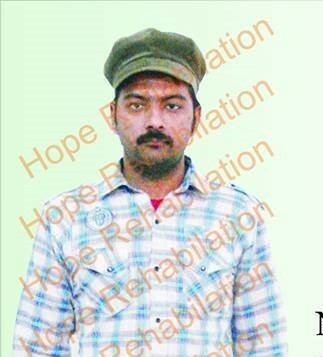 Naseem, a 28 year old gentleman, faced a tragic road side accident while driving a rickshaw. Due to accident, he ended up in above knee amputation because of severe injury to his leg. This accident was a bolt from the blue for him and left him jobless and hopeless. HOPE helped this young guy by providing him with a modern above knee artificial leg. This was a red letter day for him to walk around independently. He is now earning a respectable living by driving a rickshaw again.